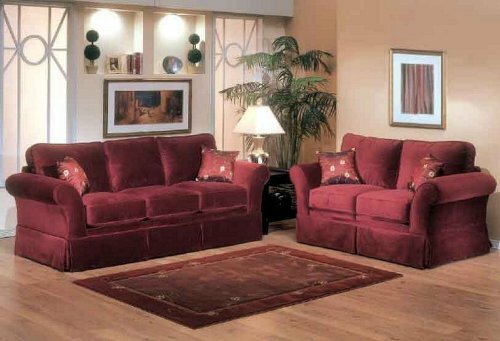 Buy online cheap Benchley 2pc Sofa Loveseat Set with Pillow Back Design in Buff Color (VF_BCL-MACY). 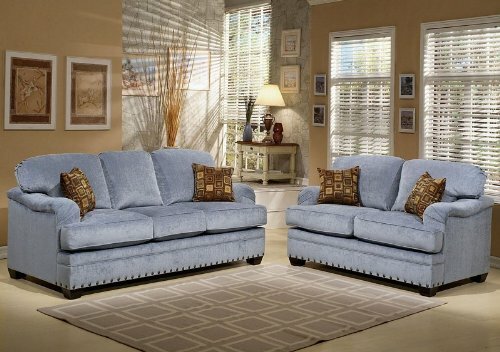 This amazing Sofas & Loveseats will suit your rooms. 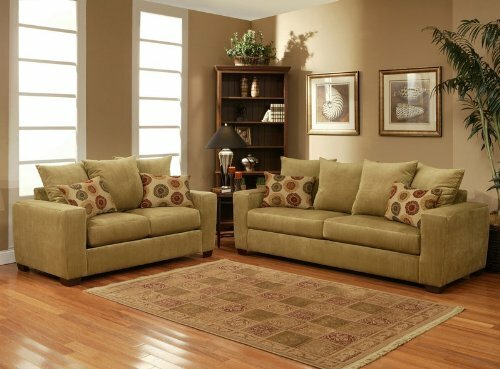 Buy and save your Benchley 2pc Sofa Loveseat Set with Pillow Back Design in Buff Color (VF_BCL-MACY) today. 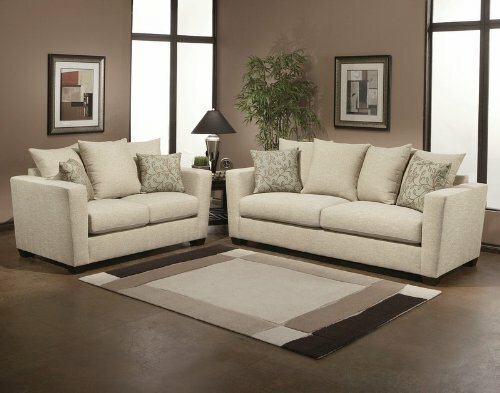 The Macy sofa set features contemporary styling in simple and clean lined design. 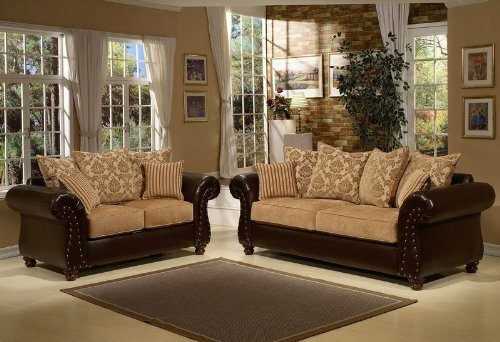 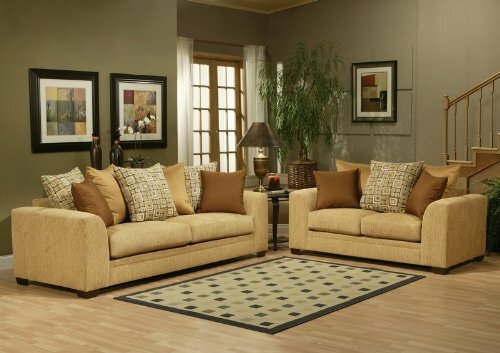 This sofa set is upholstered in buff color fabric. 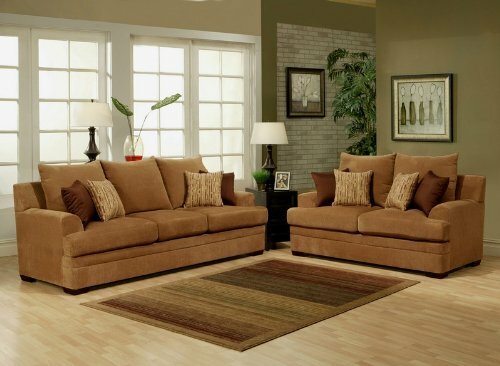 Item is designed with pillow back with plain brown and striped beige accent pillows. 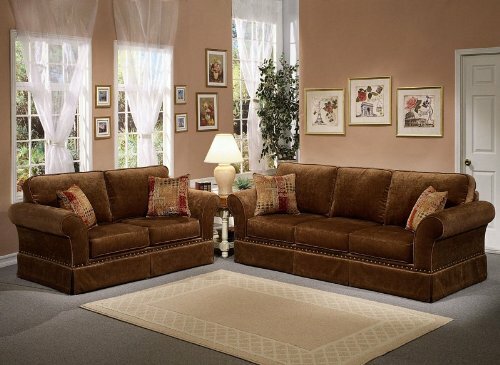 Did you know that some people search reflex buff sofa to come to this seating products.